Earlier this week I shared some sneak peeks of the headshots I had taken by my friend and local photographer Whitney Fisher. I don’t think I’ve gotten that many likes and comments since posting my wedding pictures almost three years ago! For someone who focuses on lifting up women daily, I have to admit, it felt really good to be on the receiving end of so many compliments. However, my immediate reaction to feeling proud, pretty (thank you Tori Stewart), and loved was guilt and shame over my vanity. 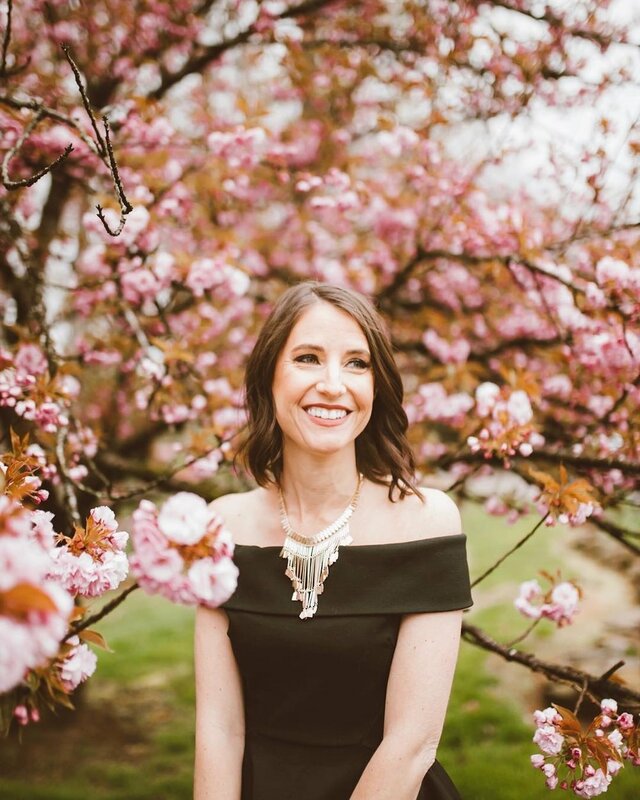 If dressing up, being pampered with professional hair and makeup, and posing in front of a camera for an hour or so leads to a moment captured in time when you felt strong, beautiful, and loved that you can share with your children, spouses, moms, colleagues, and girl squads, DO IT!!! More importantly, if you can help another woman feel these things by uttering a kind word or posting a fire emoji, DO IT!!! In a world where we only see what is posted on picture perfect social media, it is easy to forget that we are all struggling with some aspect of our lives. We should seize the opportunities we have to lift one another up and celebrate the sense of pride and empowerment we get from being supported by those dear to us! Though I don’t allow negative body talk in the store, I myself worry about not being pretty enough, cool enough, curvy enough, business-savvy enough (thank you ever-changing IG algorithms), a good enough wife, a good enough daughter, and as a self-admitted people pleaser, likeable enough. The good enough daughter card is probably the hardest to play right now. I lost my dad almost 10 years ago, and I am now finding myself on calls with palliative care doctors regarding my mom’s health, with an overwhelming sense of guilt for not being there in person. As a 32 year old, most of my friends can’t yet relate (nor would I want them to be able to). I feel like a “debbie downer” for being distracted with these stresses even when I don’t utter them aloud. Even with amazingly supportive friends and family, I can sometimes feel alone. So…receiving numerous “likes” and comments on a simple post of pretty pictures left me feeling seen, acknowledged, supported, and loved. Those small acts served as reminders of what I already know is true. Ladies, keep it up! The next time you see a noteworthy post from a friend, a colleague, a family member, or even an aquaintance, don’t you dare keep scrolling. No matter how idealistic each of our lives looks from the other side of a computer screen, we all need each other. In some ways, wedding planning helped prepare me for opening Loveliest. However, with that venture I had close friends who had gone before me and vendors and Pinterest boards galore to guide me. Starting a business does not come with a neat little checklist. Yes, there are plenty of books in the self-help vein and there are valuable state and local resources designed to serve that purpose. But no individual resource can meet everyone at their respective starting points and direct each separately to step-by-step paths for creating unique small businesses. Tomorrow is D-day, the first day I can truly access the brick-and-mortar storefront that will become Loveliest. I can physically clean, paint, assemble furniture, organize and begin to decorate. So here I am. Overwhelmed by the emptiness of the space I need to fill with beautiful dresses and the “right” furniture and décor to make my brides feel the love. Overwhelmed with the fear of letting down my brand-spanking new spouse with longer hours worked, more travel, exhaustion, and possible failure. Overwhelmed by anxiety that I have dropped the ball on something important at my current place of employment. Overwhelmed with sadness that I now have to miss out on time with friends due to the hours I’ve committed to Loveliest. I am overwhelmed (to the point of tears) with the love and support that have been doled out to to me as I follow this dream. Overwhelmed with joy that my boss has allowed me to stay on in a part time capacity, so I can pursue two distinct careers for which I have a passion. Overwhelmed with appreciation that my family and friends in other states have already marked their calendars to support me at a pre-opening event here in Knoxville. Overwhelmed by the confidence my colleagues have instilled in me daily with their cheers of encouragement. Overwhelmed with delight that my husband hasn’t complained (too much) about me filling our home with wedding dresses, furniture, and décor as I await the start of the boutique’s lease. Overwhelmed with relief that I am doing something right when an acquaintance compliments me on this very blog. Overwhelmed with gratitude for the offers of support extended to me by Local Knoxville entrepreneurs, creative spirits, and civic-minded leaders knowing full well that I am not capable of yet returning the favor. You know how I was saying something about not having a guidebook for each individual entrepreneur and business? I've realized that often I have been provided just the guidance I needed, though it has come in many forms. I had to let go of the belief that acceptance of help somehow diminishes my ownership. I wanted to believe I could do it all by myself - that I had to, but that is not the case at all. 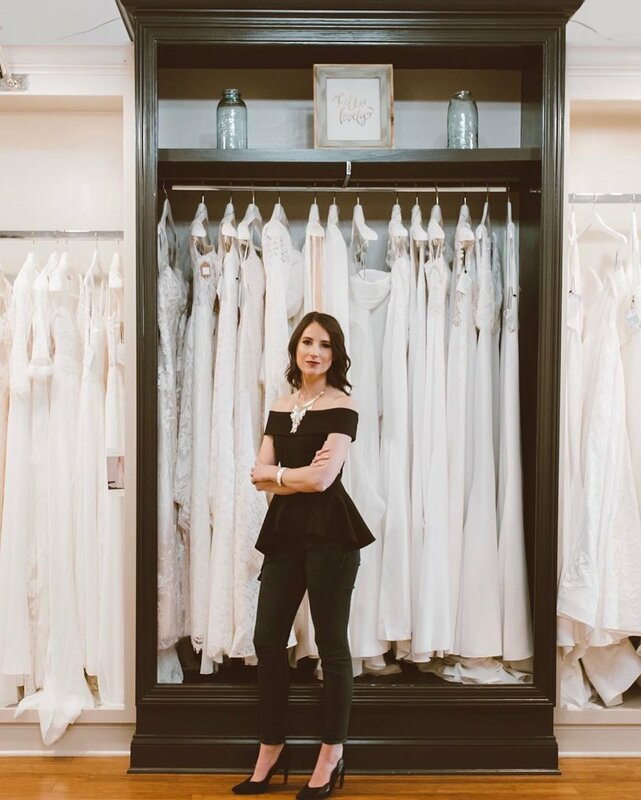 Loveliest may be my “baby,” but it is the love that has been poured into it from family, friends, colleagues, and this community before the doors are even open that will make it the LOVEliest bridal boutique it can be. For that, please accept my “overwhelming” thank you!